This Small Business Saturday (Nov 25), come and do your shopping in Jonesborough. 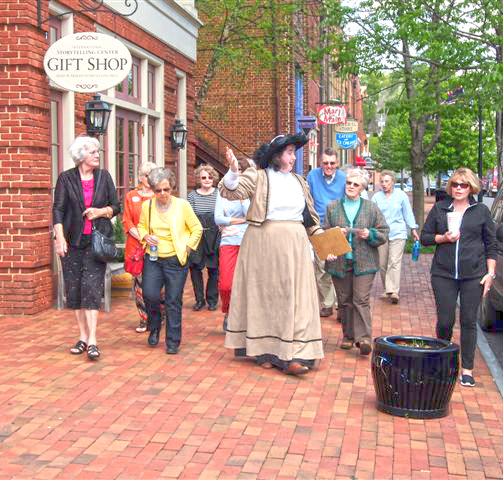 The Chester Inn Museum will be open from 10-7 with five, FREE Town Tours at the top of every hour from 11-3. 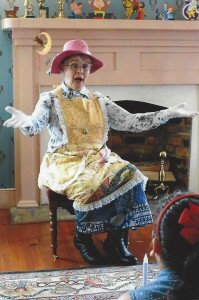 Mother Goose will be sharing stories in the parlor at 11:30 and 1:30, kids of all ages are welcome to come and enjoy! Imagine, peeking in the window of a charming historic home filled with the warmth of people, the twinkling lights illuminating off their Christmas tree and the sound of your favorite carol lulling in the background. You’re kindly invited inside as the owner of the home tells her story of how she preserved a home that was far too close to demolition by neglect. She tells of owners from the past and the impact the home has had on the community. 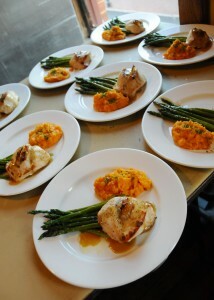 You end your evening with an elegant four-course meal in yet another preserved historic structure. 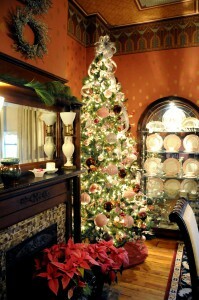 The room is filled with holiday finery, stories of the past and the spirit of Christmas. Thanks to The Town of Jonesborough and the Heritage Alliance, you can experience this and so much more by taking part in the Colors of Christmas. This year marks the 40th anniversary of Jonesborough’s Progressive Dinner. 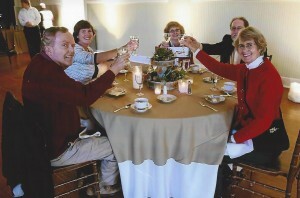 Over 40 years, the Progressive Dinner has celebrated historic homes, the community, and their stories. In 2017, this tradition continues, but with a twist. 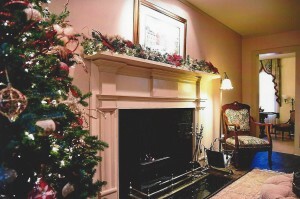 This 40 year holiday tradition in Tennessee’s oldest town is the combination of two longstanding Jonesborough holiday offerings, the Holiday Tour of Homes and the Progressive Dinner. Combining the two events reconnects the Heritage Alliance and Jonesborough with its early years as leaders in East Tennessee’s Historic Preservation movement. This year’s event allows the opportunity to focus on the restoration of buildings which does more than repair old walls and ceilings; it rebuilds connections, strengthens community and restores the spirit. Colors of Christmas opens 8 historic structures, each decorated in holiday finery, storytellers and musicians are featured in various locations during portions of the evening. 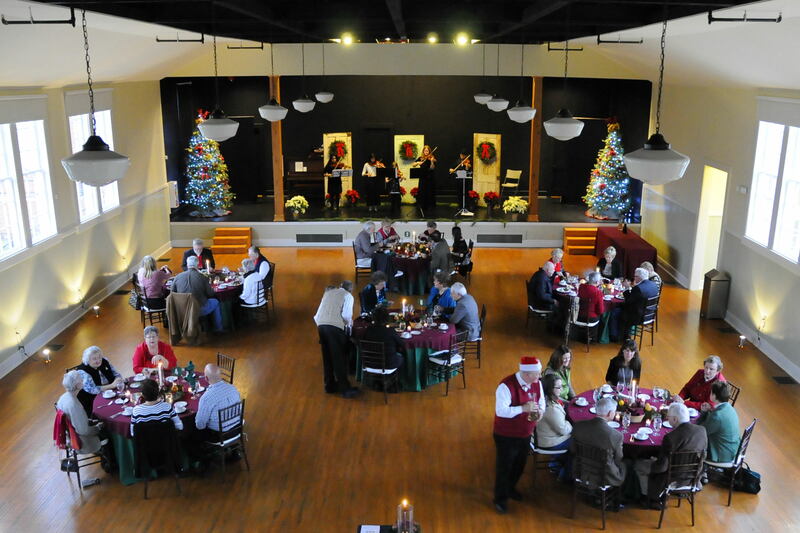 During Colors of Christmas, you can partake in “An Elegant Repast,” a delectable four-course meal set in another of Jonesborough’s historic buildings. 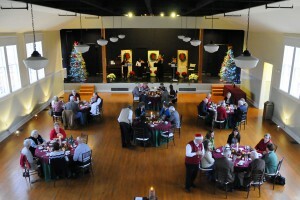 Elaborate entertainment will fill the space between courses, keeping the holiday spirit refreshed and relaxed. As the end of 2017 is nearing, over 23,000 individuals have taken part in Heritage Alliance programs and/ or services. 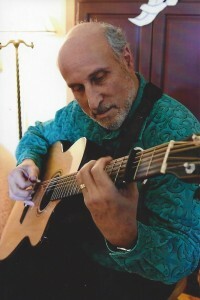 In many cases these programs are either free or extremely affordable to the public. Programs like the Oak Hill School Heritage Education Experience allow a child to reach back to a time when the classroom was a very different place. It creates connections with grandparents and great grandparents in a way a child can see and touch. The Heritage Alliance’s cemetery preservation efforts help individuals across the region find ways to honor and care for their own sacred spaces. In addition, Heritage Alliance’s community outreach programs bring programs directly to Senior Citizens, rural schools and groups of all ages. 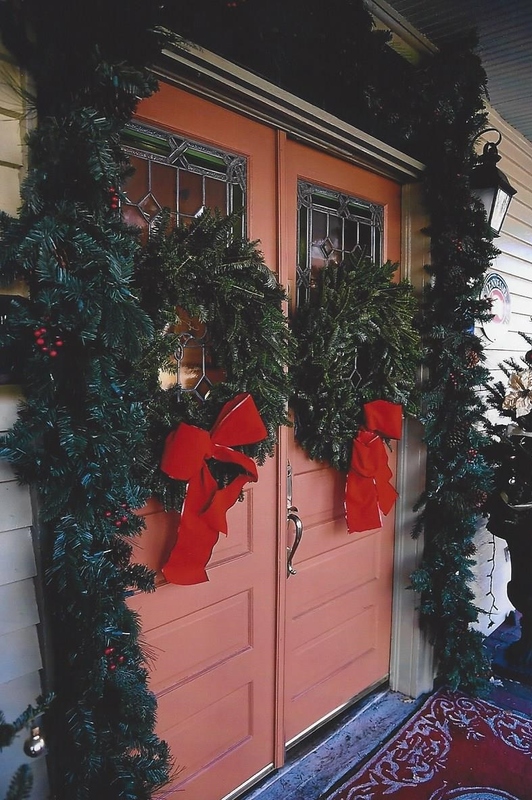 Come home to Jonesborough for the holidays and take part in the Colors of Christmas which will be held on December 2. 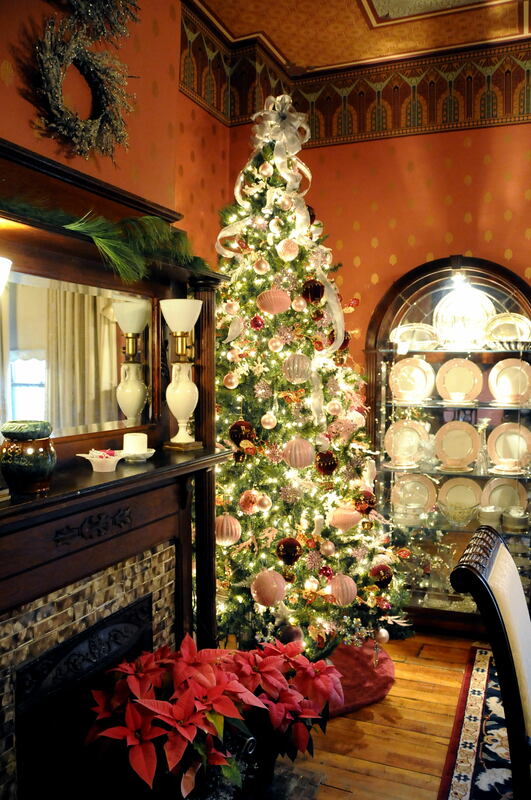 The tour will be from 3 p.m. to 7 p.m. and your choice of dinner at 4 p.m. or 7 p.m.
You can experience Colors of Christmas in a variety of ways, including tour and dinner $90, dinner only $80, tour only $15 as well as Heritage Alliance Members receiving a special rate. Ticket prices will increase after Nov. 14. This year’s event is a guaranteed sell out, so secure your reservations today. 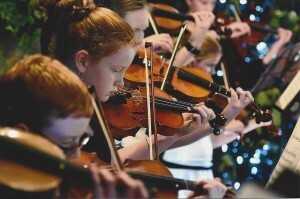 Proceeds support a variety of free family events throughout the year, in addition to Heritage Alliance programs. Come join the Heritage Alliance and the Chester Inn on November 16th for our last History Happy Hour in 2017! Join us as Dr. Angela Keaton from the Tusculum History Department discusses regional material culture. This event will be held on Thursday November 16th at 6:30 pm in the Chester Inn Museum in Jonesborough. It is free and open to the public and includes light refreshments.